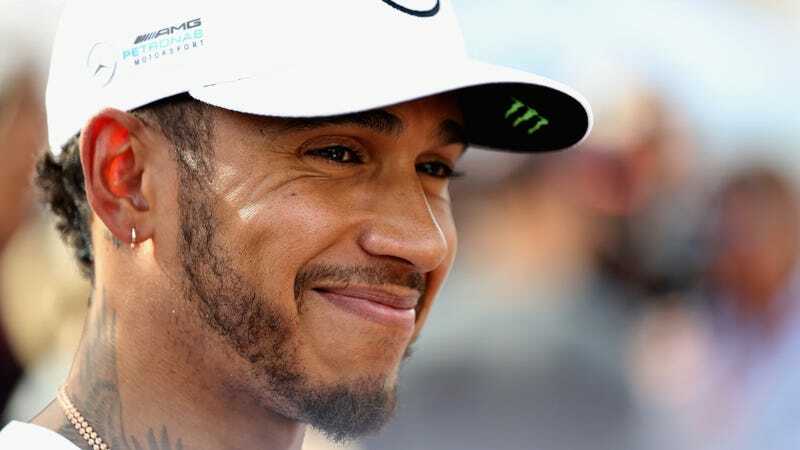 Following McLaren Formula One driver Fernando Alonso’s decision to skip the Monaco Grand Prix to race the Indianapolis 500, three-time F1 champion Lewis Hamilton said over the week that he’d be interested in doing one-off races in other series—particularly MotoGP and NASCAR’s Daytona 500. Keep in mind that the “Oh, sure, I’d like to do that” type of statement is generic PR speak for any famous person or large company. It would probably only lead to sadness to walk away from hearing that with much hope of Hamilton actually making a one-off start in the Monster Energy NASCAR Cup Series, and MotoGP sounds even more far fetched. But it’s hard not to imagine how fun it would be to see a modern F1 great roll up to the Daytona 500, just for kicks—after all, it has to be an adjustment to go from racing a 1,600-pound open-wheel F1 car on road courses to racing a stock car that weighs well over 3,000 pounds on a giant oval. On top of that, who didn’t feel new life breathed into themselves when F1’s Kimi Raikkonen decided to mumble his way into NASCAR for a few races and stun the American racing world with his wonderfully angry in-car audio? Wow, those were the days. They really were. On second thought, let’s convince him to race the Daytona 500 instead.